Whether it was to appease your significant other or fulfill your own curiosity, on behalf of Pacific Symphony, welcome. We understand that classical music has the reputation of being intimidating and unapproachable, but we work hard to change that perception at Pacific Symphony. To ease some concerns and help answer a few first-timer questions, we put together this guide to give you the best experience at Pacific Symphony. Most of our evening concerts begin at 8 p.m. (Sunday evening performances usually have an earlier start.) We recommend arriving at least 30 minutes before to allow time to park, pass a quick security inspection as you enter the hall, find your seat and look through the program book. You are also welcome to join us for our 7 p.m. Preview Talks before each Classical Series concert. Presented by some of Southern California’s foremost music scholars, these pre-concert lectures provide interesting insight and background information related to the music you will hear that night. Concerts are meant to be fun social occasions and you should feel free to wear whatever makes you feel comfortable! Many people choose to wear slightly dressy casual clothes, but you’ll see everything from khakis with a nice shirt to dresses and suits. Some people enjoy dressing up and making it a special night, and you are certainly welcome to do so as well. 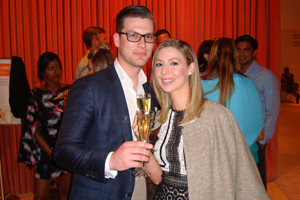 Still, evening gowns and tuxedos are pretty rare except on our Opening Night Celebration. Concerts vary in length depending on music selection, but most Pacific Symphony concerts are about two hours in length including a short intermission halfway through. With Pops concerts, the Symphony often performs on the first half with Richard Kaufman conducting and is joined by a special guest artist for the second half. Sunday Matinees are about 90 minutes in length with no intermission. Family Musical Mornings concerts last 45 minutes with an interactive Musical Carnival before the 10 a.m. performance and after the 11:30 a.m. performance. Estimated concert run times are also printed in all program books. Kids are absolutely welcome at the Pacific Symphony as long as they are able to sit through a standard-length concert without disrupting others. We also offer two concert series designed with young children in mind. Family Musical Mornings, offered on five Saturdays throughout the season, is the perfect way for families with youngsters to enjoy music together. 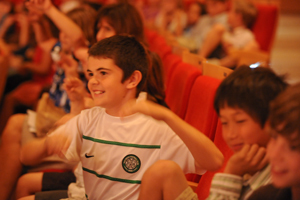 Families with older children should consider our Sunday matinee concerts. Because classical music is so prevalent in mainstream media, movies, TV shows and commercials, it is quite likely that you will recognize many parts of a piece of music that we play. When you recognize a famous melody within a larger piece, it can be an extremely exciting and rewarding experience. Do I have to know the music before I attend? Not at all! One of the joys of going to a Pacific Symphony concert is the opportunity to explore a brand new piece of music and allow it to take you on a journey. Some patrons find that researching a piece of music beforehand, by listening to recordings on YouTube or Spotify or reading about the composer, helps them better anticipate what sections in the piece to pay attention to. The Preview Talks at 7 p.m. before our Classical Series concerts can also provide added insight into the music. We also release a Preview Talk podcast about a week before each concert so you can learn about the program during your morning commute! Most concert-goers find that reading through the program notes (either at the concert hall or online before the concert) provides a good balance between having some background of the music while also allowing the freedom for the music to surprise them naturally. What is there to do before the concert? The Renée and Henry Segerstrom Concert Hall is located next to some of the best restaurants OC has the offer. Please visit our Dining & Rewards page for a list of partner restaurants and learn how a Pacific Symphony Rewards card can help you save on your night out. You can also take advantage of our concert hall concessions located throughout the venue. To avoid long lines at intermission, we encourage you to visit one of our bars and place your order before the concert begins. That way, your drink will be there waiting for you as soon as you come out for intermission. 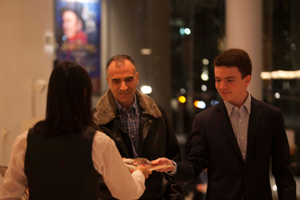 If you arrive after the concert has started, you will be seated by ushers during the next break in the performance. You are welcome to watch and listen to the concert on one of the live monitors in the lobby. 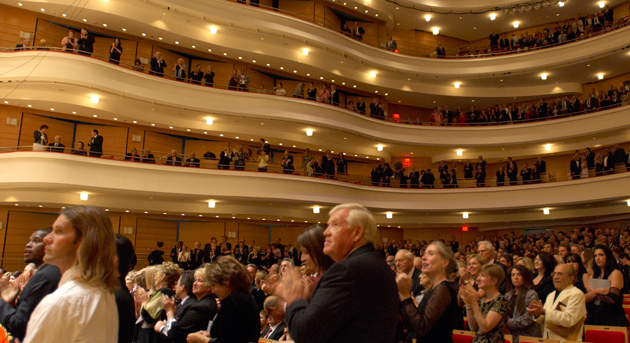 Patrons who must leave the hall during a concert should do so during a break in the performance to avoid disturbing other guests. Please note, you will not be reseated until after the piece has concluded, and in some instances where there are no pauses, you may not be able to reenter at all. Coughing can be an unavoidable problem, but there are ways to avoid coughing during the music. Please consider visiting a water fountain prior to the concert. Feel free to bring unwrapped cough drops into the concert hall. Unwrapping cough drops during a concert makes more noise than one might think. If you can't avoid coughing, please try to wait until a loud passage in the music or at the end of a movement. Finally, please consider stepping outside but remember that audience members who have to leave the hall before the conclusion of a work will not be reseated until a convenient break in the music. Along with the “what to wear” question, this is probably one of the most voiced concerns we get from new concertgoers. Ultimately, it’s not a big deal and you should not let your fear of clapping at the “wrong” time stop you from enjoying a concert. Rest assured, there are other first-timers at every concert, and every music aficionado was in your shoes at some point. In general, there are two reasons to applaud during a Pacific Symphony concert: to welcome musicians on stage, and to show appreciation. The concert will officially begin when the concertmaster (first chair of the first violin section), conductor and soloists, if any, enter the stage. This is the first time you applaud and it serves as a greeting to the musicians. Tradition dictates that you do not applaud again until the end of the last movement which concludes the entire piece. In order to find out how many movements a piece has, please refer to your program book. The figure below is a sample program labeling the different parts and includes a guide of where to applaud. One of the joys of classical music is the ability to share it with everyone! Please help others, especially those new to Pacific Symphony, feel welcome by not correcting those who might clap out of place. Instead, be glad there are people resonating with and responding positively to the music we all love so much. Can I take pictures and/or use my phone? Pacific Symphony loves to see our audiences having fun and sharing their experience with friends on social media! We encourage you to take pictures of our beautiful concert hall, check in on Facebook and take those Instagram selfies at any time except during the performance. In order to prevent the distraction of players and other patrons, Pacific Symphony requests that phones are silenced and put away during the concert. Recording of its performances via camera, video recorder, cell phone, audio tape or any other electronic device are also prohibited. What can I do during intermission? Most of Pacific Symphony’s concerts have a 20-minute intermission, during which you are welcome to purchase concessions on various levels at Segerstrom Concert Hall and Pacific Amphitheatre. Please note, Family and Sunday Matinee series concerts are performed without an intermission. The program notes for all concerts during the season are posted on the Pacific Symphony website. There, you will also find a list of recommended recordings to all the pieces you heard that night so you can take another listen to that melody you hummed during the entire car ride home. Also, check out our Symphony Blog written by our own writer-in-residence, Timothy Mangan. I loved the concert, how can I attend more? We are so glad you had a great experience at the Pacific Symphony and we look forward to welcoming you again soon. Please visit our website and the Symphony Blog to learn how you can listen to the best of classical music and save through the various season ticket options we have.